Through teaching, community involvement and performing, Jerald “Kimo” Keaulana has shared his knowledge and many gifts throughout the islands with thousands of people. One of the last people trained in the sacred hula known as hula kuahu, Keaulana now shares his knowledge of mele and hula with students at Honolulu Community College, where he is an assistant professor of Hawaiian programs, and throughout the Hawaiian community. He has been teaching hula and singing professionally for over 45 years. Now, as he considers a step back from the music, he still indulges in his passion of translation work, translating and explaining meles, chants, and other older texts, a large compilation of which can be found at the Bishop Museum. Keaulana, 62, is originally from Mānoa Valley and now lives in the Nānākuli Hawaiian Homestead. The fourth of six children growing up, he is the only one to have graduated from college. And that journey began at the Honolulu Community College campus. He first attended Honolulu Community College for two years directly out of high school in 1973, studying liberal arts, but decided he wasn’t ready for college life just yet, so he joined the work force in the visitor and entertainment industries. 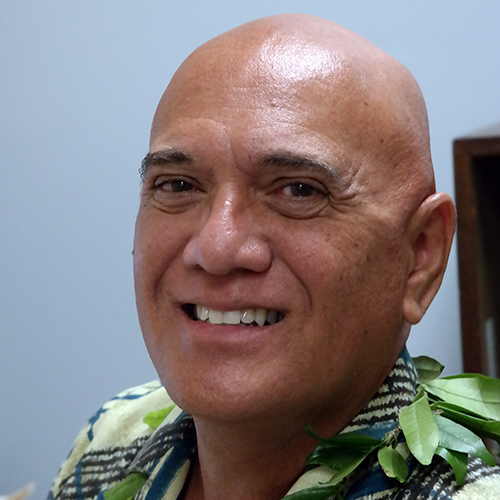 Keaulana returned to Honolulu CC around 1982, ready to dedicate himself to his studies. He got involved in the campus community and was the president of the Hawaiian Club, Hui ‘Oiwi, and vice president of the Polynesian Dance Club. He graduated in 1984 with an AA in Liberal Arts and a Certificate of Achievement in Anthropology. He continued his studies at UH Mānoa, where he majored in history with a concentration in Hawaiian history, and secondary education earning his bachelor’s in 1986, followed by a master’s in education in 1992. 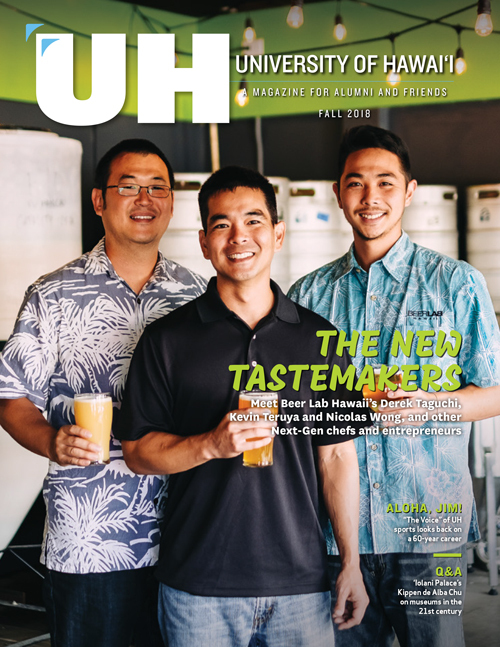 Keaulana says being exposed to many ideas, information, people and experiences as a Honolulu CC student helped prepare and shape him for his professional and personal journey. Since getting his start as a Department of Education teacher he has experienced many campuses. He completed his student teaching at King David Kalākaua Intermediate School and went on to teach at Moanalua High School, Moloka’i High and Intermediate School, George Washington Intermediate School, and Kalani High School. While still at Kalani, he taught the inaugural hula ‘ōlapa courses at Kapi‘olani Community College which led him back to his roots at Honolulu CC. He returned as a Hawaiian language lecturer in 1995 at the request of Edith McKinzie. When she retired in 1997, he was hired to teach full time. Proud to call Honolulu CC his alma mater, he takes an active part in shaping the campus as a vibrant and bustling school for the community. Allison Sharp wrote this story while a student in Honolulu CC’s Journalism 205 News Writing class.